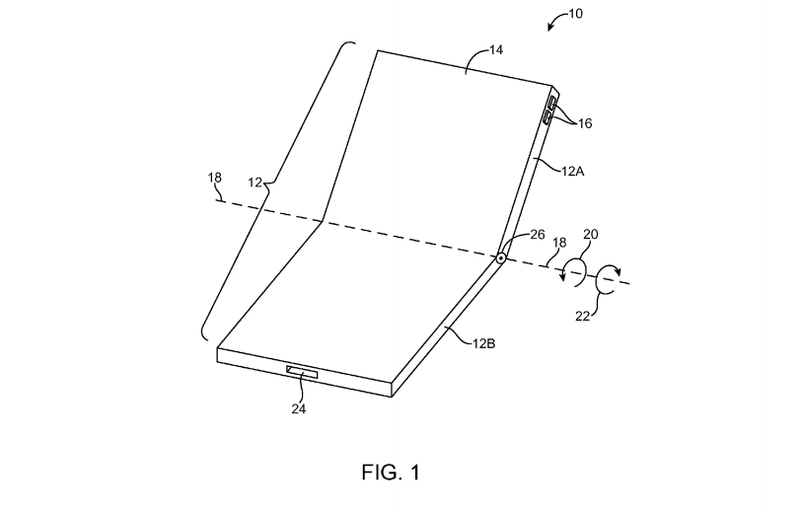 Apple has been granted a patent for "Flexible display devices," which makes it appear as though they may have a future interest in making an iPhone which folds in half when not in use. The cornerstone of the design depends on a flexible OLED screen, the technology of which is just now becoming feasible for mass production. There are several examples of different configurations of a possible flip iPhone detailed in the patent. One is simply a device that folds in half over itself much like an old flip phone. Another can fold into thirds, with part of the screen still facing outwards that could be clipped to a piece of clothing. Although Apple went through the trouble of patenting these designs, we might not want to get too excited yet. Companies routinely patent ideas that they never use or ones they plan to use years down the road. Although the thought of a foldable iPhone is definitely interesting, given the relative newness of the technology it will probably be a few years before flexible OLED screens become a standard feature.